HR is an evolving discipline, the roles that it plays and the services that it provides keep on evolving. Growth of HR can be divided into four stages. HR began as a department that was responsible for controlling and managing human resources within an organization. Furthermore, administration of payroll was another major function performed by it. In the second stage HR was recognized as a strategic department, it assumed the role of a business partner as it started providing services to businesses. It began providing services relating to recruitment, learning & development and total rewards. In addition to this organizational development was another area that was included among the functions of HR. In the third stage it became an enabler along with acting as a controller and service-provider/serving. It started attracting, enabling and managing talent. Programs of talent acquisition, succession planning, talent retention, talent coaching and leadership training were initiated by it. Furthermore, in this stage HRIS/HRMS was introduced in order to automate its operations. In the fourth stage, the current stage, it is acting as driver of business strategy by participating in plans that are relating to future. Talent management is becoming more organized. By keeping the developments that have taken place in the field of HR it may be stated that it acts as controller, service provider, enabler and driver of business strategies. Albeit it plays a crucial role in the growth of any business but still it is regarded as a cost center at the place of a producing department, thus when it comes to getting an HR budget approved the HR heads are being asked to reduce costs. This post discusses different ways in which cuts can be avoided during the course getting an HR budget approved. Always prepare such a budget that promises to spend in accordance with business strategies and goals. Linking business strategies with HR initiatives, that support delivery of strategies, is a good starting point for developing your HR budget. In order to avoid giving vague answers at the time of budget presentations backup your arguments with numbers and figures. CEOs and CFOs do not like to hear plain answers when they expect you to justify your stance with the help of numbers. Thus, always have facts and figures in hand when going for presenting budget. For example if they ask you to justify that why you are going to give 6 percent raise in salaries, you must be able to justify it. You must have figures relating to performance increases that have taken place due to talent management programs, reduction in turnover rate and how much cost in terms of recruitment you have saved due to it etc. Variable costs are those costs that may vary during the course of a budgetary period. Different internal and external factors can increase or decrease such costs. You must have an idea about the factors that cause change in such costs and also know levels to which such costs can rise or dip. Previous years’ data can provide you useful information in this regard. Furthermore, knowledge of going to be changes in laws and economic conditions are also beneficial. In order to get funds for the areas those are important in your opinion use previous data to support your arguments. Projection of results in advance helps during the course of budget approval. Develop a close working relationship the CFO of your company. Keep him informed about the initiatives that your department is taking and is going to take along with informing him about the milestones that you have met. It helps you to gain his support during the course of approval of budget. Another approach is to define values of the services that HR provides. Value can be set in accordance with the market rate, discount can also be applied. With the help of this approach you can show that your department is not merely a cost center it is a producing department. Some HR heads generate invoice of every service that their departments provide and charge these costs to different departments/units. Each HR initiative that your department is going to take must be treated like a project. It must have a starting date, a deadline and milestones. It can be any service that your department provides. Adding different projects in a budget helps to get more funds for spending. HR Budgeting: Best Practices for Budgetary Allocations provides an idea about allocations that are made against different heads in an HR budget. The above mentioned suggestions are helpful when it comes to prepare and getting an HR budget approved. There is no hard and fast rule when it comes to spending on the items that are part of an HR department budget. Companies spend on different items in accordance with their strategic aims and goals. However according to different researches companies spend $1,218 per employee, though it varies by company size. In this post I have attempted to develop a list of operational budgetary spending in terms of HR items. It may prove to be helpful for those who are going to develop an HR budget for the first time. These spending rates are taken from different surveys and researches. Items in an HR budget can be divided into three areas: Talent management, Fundamental HR services and Strategic HR services. Talent management covers selection & placement, training and development, succession planning and performance management. Fundamentals consist of compensation & benefits, payroll administration and employee relations. Strategic HR services include employee engagement, workforce planning and measurement, and wellness programs. Roughly 33.3 percent of an HR budget goes to the talent management services. After realizing the importance of training and development companies have starting spending more on training and development. In the last year companies have spent 12 percent more than the 2012. On average companies spent $706 – $867 per learner. External programs are those training and development programs that are conducted by third parties. Internal training programs are those programs that are organized in house either by hiring trainers or by the in house trainers. Compensation & Benefits, pay roll administration along with employee relations make 60 percent of an HR budget. According to the Society for Human Resources Management (SHRM) employee salaries can make 18 – 52 percent of an organization’s operating budget, whereas benefits make 30 – 35 percent of an employee’s salary. Strategic HR services that include employee engagement, workforce planning and measurement, and wellness programs account for remaining budgetary allocations. As discussed in the beginning that there is no rule of thumb in this regard, organizations do spend in accordance with their needs, priorities and local laws. But the spending ratios discussed in this post are helpful in order to develop an HR budget in the light of those practices that many organizations are following around the world during the course of developing their HR budgets. Basic services are compensation and benefits, payroll administration and employee relations. Talent management services are recruitment & selection, training and development, succession planning and performance management. Strategic services are employee engagement, workforce planning, workforce measurement and employee wellness programs. Funds are required to provide the above mentioned services. In order to get funds from organizational coffers budget is prepared. Budget provides an estimate about income and expenditures of a specific period of time. The services and functions that an HR department performs are treated as items of budget. Estimates of expenses that are going to be incurred upon providing different services are mentioned along with mentioning departmental revenues or savings. In some cases estimates are made by keeping data about costs and revenue of previous years, whereas in other cases it is purely guess work. It is prudent to consult every source of data available before preparing an HR budget. Keep an eye on company’s strategic goals for the next budgetary year, knowledge of strategic goals helps to align HR costs in accordance with it. Forecasts about number of employees and employee turnover rate for the coming year. Employee benefits programs that are planned for the next year along with existing costs in this regard. Changes relating to law or regulation that may affect cost. Actual costs relating to human resources that have taken place in the current year. Data about savings that are being made in terms of recruitment expenditure due to reduction of employee turnover, by providing in house training or with the help of social media training etc. Conduct cost benefit analysis (CBA) for justifying the expenses that are going to take place. Analysis of costs must be done with utmost care. Now prepare a draft based upon projections of costs and revenue. Thing about expenditures/costs that needs to be kept in mind is that at the time of estimation it must be kept in regard that what expenditures/costs are fixed and what are variables. In case of variable costs attempt must be made to determine that up to what levels such costs can vary. HR Budgeting: Best Practices for Budgetary Allocations provides details about the ratios of items of an HR budget. Social Media Centre of Excellence (CoE) refers to a group of people, team, facility, section, branch, department or division of a business that is responsible for providing purpose, leadership, policies, strategies, resources, research, assistance and education regarding the implementation and use of social media. It is a centralized platform that manages and organizes initiatives relating to social media. CoE educates employees and business units about benefits of social media. It helps units to deploy and take initiatives relating to social media. Organizational policies in terms of social media are developed and disseminated by it. Assessment & Analysis: Assessment and analysis of the needs of business and stakeholders is conducted by CoE. Budgeting: CoE develops and allocates budget for different activities in this regard. Training: Training is provided to employees by CoE for using social media in order to avoid crisis that may cause harm to the good will of business. Management & Monitoring: Management of the operations in this regard is also conducted by CoE. CoE makes it possible for companies to share knowledge with employees and units from a single platform. With the help of CoE it becomes easier to build common policies and standard metrics. It becomes possible to lead from a central hub. Leadership can share its vision from one platform. Management and accountability becomes easier. It aids to provide a meaningful and consistent social experience to customers. It becomes easier to establish interaction among customers and influencers for the benefit of business. Sharing of best practices becomes very easier. Employees can be trained from a single platform. With its help coordination and cooperation within organization increases. Employees are encouraged and trained to use social media that may prove to be useful for business. As employees remain engage, become creative by sharing and reading new ideas and spread awareness about the products of their companies. Standardization and maturity of processes of social media becomes possible. Mushroom growth of social networking platforms is making it easier for employees to interact with each other and customers. Social networks other than acting as venues of interaction also act as centers of learning, as during the course of interaction employees share problems in order to learn solutions from their peers. Furthermore, with the help of social platforms companies disseminate information and policies from a centralized hub and it becomes easier for them to educate their employees. Exclusive social platforms of companies and other commercial social platforms are causing benefits to companies in number of ways: sourcing and talent hunting, knowledge sharing, continuous education and training of employees, sharing of best practices, marketing, news network etc. 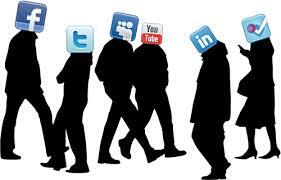 But at the same time increasing employees’ interaction over social platforms is raising concerns for organizations. It increases chances of going confidential organizational data public. Any incident of mistreatment of workers, failure in fulfilling commitment with employees and misconduct of management can go viral and cause harm to organization’s image. Inappropriate use of social media at the end of employees can also bring shame to an organization. In such a situation letting employees use social networks without any surveillance, prior guidelines, and training can be disastrous, there are many incidents in this regard that have surfaced during last years. But some scholars and practitioners are of the view that neither employees should not be stopped from using social platforms nor they be checked during the course of using, as it can be negative in respect of employees’ growth and engagement and customer engagement. I am also of the view that employees should be encouraged to use social media. Organizational policies should be of such natures that allow employees to use social networks. These networks can be exclusively of an organization or other commercial networks. But at the same time I think that employees must be given training for using such platforms in a responsible manner. Training may include: uses of social networking, sourcing, marketing over such platforms, creating customer awareness, increasing customer base, representing your employer, problem solving, learning from others, how using social networks in irresponsible manner can cause harm to carriers etc. New joiners must be given training at the time of orientation. 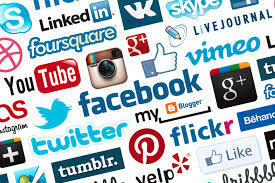 An important thing to remember is that trends and technology relating to social media keep on changing, thus training programs must also be ongoing. In my view most important thing in this regard is to have a ‘social policy’. It is a policy that defines a companies’ vision about social media. It encourages employees to use social networks. It describes how an organization is going to get benefit out of social platforms. It guides employees about using social networks in a professional and responsible manner by setting guidelines for them. It covers legal matters in this respect. It also covers matters of confidentiality. Those organizations which are reliant heavily upon social networks have a social taskforces or social media teams that are led by visionary leaders. Responsibilities of such teams include: conducting needs analysis of departments within organizations in regard of use of social media, introducing social media initiatives, oversee communication that is taking place on social platforms, brand management, setting outlines for interacting with customers on social networks. It is not wise to stop your employees from using social networks. Thus, they must be encouraged to use it. In order to avoid social crisis companies must have policies and teams that define rules of using social media. If companies have such measures at place chances of occurrence of social crisis decrease, in case of happening of crisis such measures safeguard organizations and their employees. Job Analysis: How to Conduct It? Determining salary for a particular role is not as easy as it sounds. It is a lengthy process that includes: conducting market research, understanding organizational compensation philosophy, knowledge of different pay systems, familiarity with laws and regulations relating to compensation, performing job evaluation and job analysis. In this article we will discuss job analysis. Job analysis is the systematic process of collecting information about a job. Basically during the course of job analysis efforts are being made to find everything about a specific job. It includes: requirements, responsibilities, performance criteria, working conditions, skills required, demands and dangers associated with a job. First step is to look into organizational process assets, organizational documents that are relating to jobs and organizational processes, in order to find relevant information about the job that is going to be analyzed. Interviews of employees take place after the first step is done. They are being asked specific questions about their jobs, duties and responsibilities. Common questions in this regard are: requirements of their jobs & roles, their responsibilities, performance criteria of their jobs, working conditions, skills required for performing their jobs, demands and dangers associated with their jobs. Superiors of the job holders are also interviewed in order to find in-depth information about jobs. Even the clients and customers who interact with employees may also be interviewed for collecting detailed information. Next step is to ask employees to write down about the tasks they perform and the time they spent on performing each task, it is better to do this in routine for one week at least. ‘Desk audit’ is also performed along with this activity. The person who is responsible for conducting job analysis observes employees when they are doing their jobs. He keeps record of what they do and how much time they consume on each task. Important point to remember during the course of this step is to ask employees to include only minimum qualifications required to perform their jobs and essential tasks. Once the collected information that is recoded a review session takes place. The employees who have provided information are asked to participate in this session. During this step many unnecessary details will come in front and be erased. Last step is to compare jobs. Jobs are compared on the basis of their relevant information that is collected during previous steps. Intra departmental and inter departmental jobs are compared. Purpose of comparison is to see that where a job falls on the pay scale/grade. Job analysis is conducted to collect complete information relating to a particular job; with the help of information that is collected different tasks are conducted. Relative value of a particular job is determined. Work content summary is developed. Salary range/level and pay grade/scale are determined. Job analysis aids to determine that what tasks are of more importance in a particular job. Structure of tasks of a particular job is developed. Information collected during job analysis is also used for developing job description and during the course of job evaluation. Capacity to give rewards, higher position, possession of such skills that are critical for business, control over monetary resources and access to information are common sources of power at work places. At workplaces some are more powerful whereas others are less. Those who have power must use it in a careful manner for achieving organizational goals. If power is not used in a responsible manner it may prove to be disastrous. Misuse of power stirs employees to resist. Resistance may be overt as well as covert. Work place deviance is a common form of resistance. Stealing, fraud, stop working or not working at full capacity, keeping rude behavior with others, not obeying official rules and violation of official timings are few examples of deviance. Statistics show that businesses suffer losses of forty billion dollars due to theft by employees; moreover, absence without reason causes losses of thirty billion dollars. Work place deviance causes losses of two hundred billion dollars to businesses every year. Now we will look into the film in order to understand deeply that how misuse of power leads towards deviance. The group V.P misuses his power in order to screw the employees he does not like. Peter, who is the lead character, comes late at work due to the fact that the V.P is stopping Peter’s promotion and calls him to work on weekends. Peter goes against the organizational rules and dismantles his cubical. Moreover, he steals money from the company’s account. He along with Sameer and Michael Bolton, other characters, corrupts the computer system for stealing money. Above mentioned glimpses of the film are classic examples of the work place deviance that happens due to misuse of power. Power must be exercised in a responsible manner in the light of organizational rules and regulations. Responsible use of power may avoid many confrontations. Holder of the power should try to influence behavior of others by having the authority of reward and punishment in his hand but must refrain from drawing unnecessary fire. Many times it is assumed that power is bad but in reality situation is inverse it depends on the person who uses power that how he uses it. Basically to have power is not a bad thing, in an organization some people are supposed to have more power and authority over others so that they may make others work for the achievement of goals. ‘7377328’ is the code that can solve many of your workforce relating issues. If you enter this code correctly it reduces employee turnover, stops plummeting levels of job satisfaction, improves performance of human resources and make them loyal with your business. Let’s decipher the code. Please look at the numeric keys of your phone, 7=R, 3=E, 7=S, 7=P, 3=E, 2=C, 8=T. You have got it right; the word ‘RESPECT’ is hidden behind the code. If you start giving respect to your employees they will love you and your organization. Respecting your employees means giving them respect in every regard. Respect their aims, carrier aspirations, work and feedback. Your employees have aims about their lives and work, learn about their aims in order to help them to fulfill their aims. Provide them necessary resources that are required for fulfilling their aims. Train them in order to equip them with those skills that are helpful in winning them their aims. Fulfillment of their aims will satisfy them. Furthermore, provide such carrier tracks to your employees that are helpful in fulfilling their carrier aspirations. Respect the work of your employees. If they are working well you must appreciate them. If they are not working as per your expectations you must guide and train them to do so. Ask your employees to provide you feedback about their work, working conditions and supervisors. Act upon their feedback, don not ignore it. Giving respect to your employees mean you care for them. In return they will care your aims and goals. Their performance will boost. They will get loyal with your business and will do their best to benefit it. This way you will also attract the best talent along with retaining your present workforce. Can Jobs speak? I am positive about it; in my humble view a job can speak with its doer. ‘Talking Jobs’ are need of the hour. 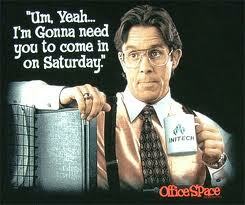 Reason is that millennials/Gen-Yers, who are replacing Gen-Xers at work places, want to experience and feel their work. Interactive designs are among one of their ideals. Thus, in order to make them involve into work and make them perform at their best such jobs are needed that talk to them. First we need to understand ‘talking jobs’. A ‘talking job’ is a job that interacts with its doer. It tells the person that s/he is doing it right or not. It suggests solutions to employees if they get stuck during the course of performing it. It provides continuous feedback. It informs employees that what skills they need in order to do it. It asks worker if s/he needs further resources in order to perform it. Now we are going to discuss the ideas that are helpful in making jobs talk to employees. Continuous feedback means providing feedback to an employee for his every action that s/he does during the course of performing a task. If s/he is doing a right thing s/he must be informed with appreciation. If s/he is making any mistake s/he must be immediately informed about it along with the guidance to correct it. It is easier to do this in those companies that are small, where there are few and simple tasks. Feedback can be provided by directly by supervisors. Those organizations that are big, over there software based mechanisms should be placed for this purpose. Software provides feedback for every milestone that an employee meets during the course of performing a task. Tasks can be divided into many parts and time-bound milestones may be set. You must be wondering that I am talking about ‘talking jobs’ and I am suggesting that supervisors or software are the ones who may be used for the purpose of feedback. Let me elaborate it so that it makes sense to you. A job cannot talk or speak itself, things must be designed in such a way that give an impression to the one who works that the work is in contact with her/him. The concept of feedback is that it informs the doer that s/he is on the right track or not. It makes the doer feel that the two way communication is taking place between her/him and the work. Time bound tasks communicate with doers. As time progresses during the course of performing a task it tells the doer that how much time s/he is left with him. Actually this way communication happens between the doer and her/his job. Let me give you an example for explaining it, during the course of playing video game the timer tells that how much time has passed and what is left behind. The aim is to connect player with the game and to make him involve into it. 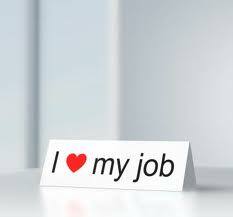 When a work related accomplishment of an employee is being highlighted it brings her/him more close to her/his work. It helps to make the employee-job bond strong. S/He feels connected to her/his work due to the fact that it helps her/him to earn recognition. 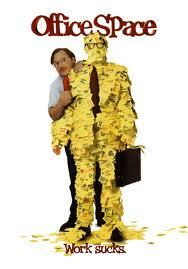 Job enrichment bestows control and authority to employee over her/his job. S/He becomes responsible in terms of job. S/He feels more close to his job along with having the sense of ownership. It makes the connection between both of them strong. Things that make us scare of exams are fear of doing unseen and fear of failure, due to these two reasons many of us hate exams. Due to these facts during the course of studies one thing that most of us want to avoid is appearing in exams. For this reason connection between us and exams is week. Most of people hardly feel that questions paper talks to them; they feel that it orders them to write correct answers. Imagine if exams allow us to make mistakes and give us chance to correct our mistakes by learning out of it, people will love exams. People love video games because they get freedom to fail while playing games. If players lose game they get further chances to start it again. Game teaches players how they must play it and how they should meet challenges. It is a unique example of communication. This communication is another reason that people love video games. The same model may be applied to jobs. The above mentioned factors will help to design such jobs that talk with doers. ‘Talking Jobs’ will improve performance of employees. Connection between employees and their work will grow strong. Most of all ‘talking jobs’ will prove to be beneficial in the case of millennials/Gen-Yers. Issues of employee engagement and motivation may also be sorted this way.